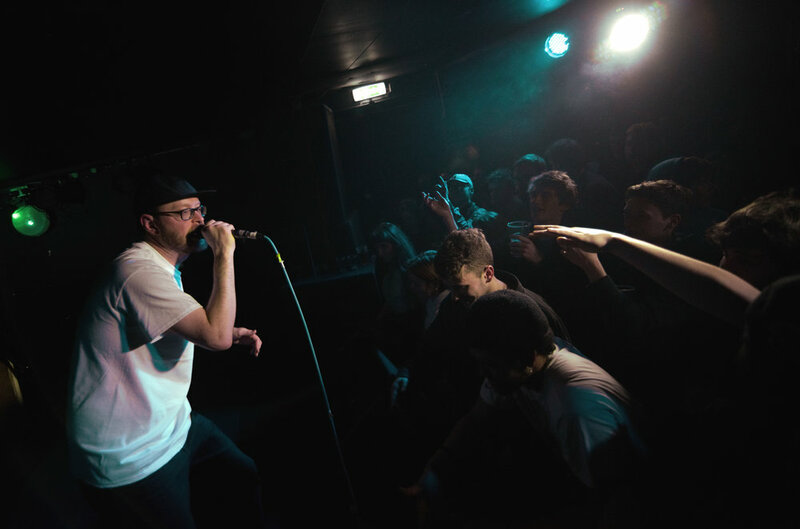 A legendary Friday night unfolded at the Attic bar, Stokes croft as UK hiphop heavyweights Dr Syntax and Pete Cannon brought the roof down with energy, supported by local stalwarts to the scene, Split Prophets supremos Res One and Upfront MC. Its been a gig I’ve been looking forward to shooting for well over a month and the night finally came, full of vibes in the classic Syntax style backed up on the decks and mics by producer Pete cannon. Opening beats got the crowd piling forward filling the room from wall to wall, giving that all great intimate feel. Laying down some new bars from recent albums such as ‘Lets Talk’ and ‘The Tonic 2’ they didn’t hold back and neither did the crowd. Away he went on the 1s and 2s scratching and cutting like only Pete Cannon can, throwing in the odd leg kick for good measure, sporting a Ronnie Bosh T-shirt - These boys did not disappoint the huge turn out and long awaited stop in Bristol. Over an hour of head bopping and carnage reverberated throughout the Attic Bar bringing one of livest gigs I’ve seen in the city for a while, for me Friday night was an eye opener as i got to see first hand the ripples these guys have created for fans over the years. Not to mention the love and support for local artists and up and coming MC’s from Bristol, i can see them claiming big stages in future years.